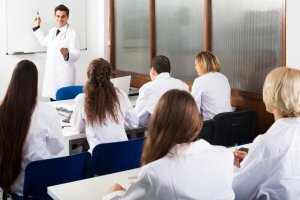 Phlebotomy Training Specialists was founded in 1993 when a need for more detailed, hands-on-training in the phlebotomy industry was identified. Realizing that book knowledge only will never get blood out of an arm, PTS focuses specifically on giving students real world knowledge by employing instructors who have vast and varied experience working professionally as phlebotomists. Phlebotomy is a skillset, that when properly taught by qualified professionals to receptive students, will make those students marketable and successful on day-one in the workforce. Due to 25 years of teaching and fine-tuning the tricks-of-the-trade, students who train with PTS are well prepared for the workforce. With over 20,000 graduates since inception, Phlebotomy Training Specialists is one of the largest stand-alone phlebotomy training programs available.